This nice plate in Amtrak’s National pattern is an excellent example with its bright blue rim set off by the narrow gray line. 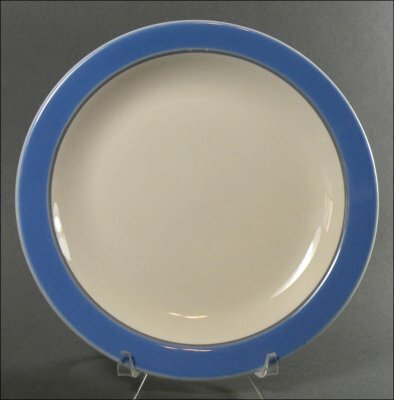 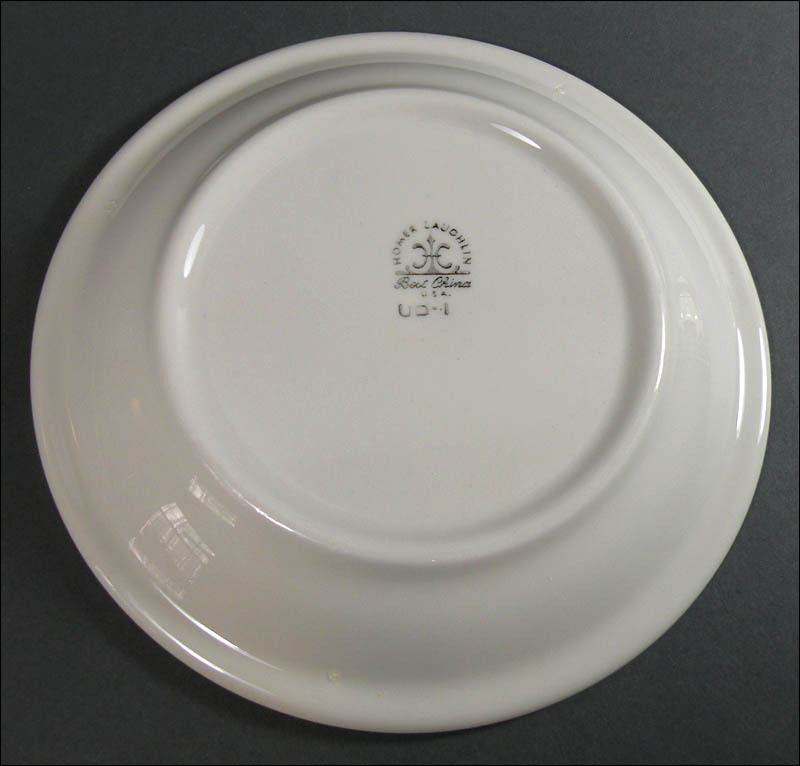 It was made by Homer Laughlin China exclusively for Amtrak between 1975 and 1980. 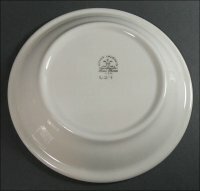 It is 6 ½” in diameter and in excellent condition with very few signs of wear.